“Keeping Tradition Alive” is the motto of the 11th Armored Cavalry Regiment’s Horse Detachment. The Horse Detachment is a horse-mounted ceremonial unit of 17 Troopers, 11 horses, and 4 mules. 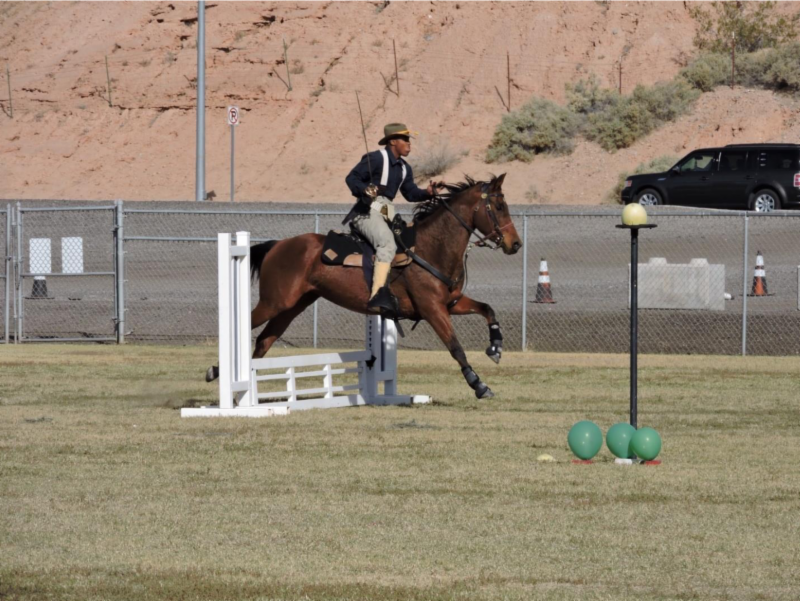 The Detachment conducts a variety of community relations missions, competes in United States Cavalry Association competitions, and provides cavalry horsemanship demonstrations. Additionally, the Detachment provides training support during National Training Center Rotations. Rotational training support missions include offering horse-mounted reconnaissance and providing horse-on-the- battlefield scenarios to the rotational training unit. In its ceremonial role, the 11th ACR Horse Detachment provides mounted color guards at various events throughout California. Outfitted in the 1901 US Cavalry Uniform and riding the 1896 McClellan Saddle, the Detachment embodies the Regiment’s proud cavalry tradition. The Detachment has ridden in events including the Fort Ord Warhorse Days, Pebble Beach Derby Day, the Norco Rodeo, the Bishop Mule Days Parade, and the Santa Barbara Veteran’s Day Parade. Currently, the Horse Detachment is preparing for the annual US Cavalry Association National Cavalry Competition at Fort Reno, OK, September 26-29. 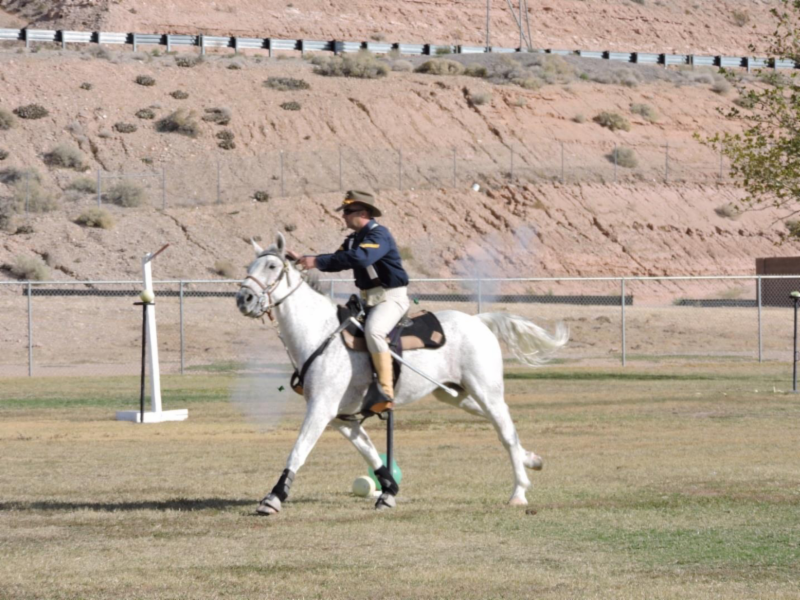 The competition includes several events aimed at replicating the skillset of a US Cavalry Trooper. The detachment competes against the Army’s five other horse-mounted units at Fort Riley, Fort Hood, Fort Sill, Fort Carson, and Fort Huachuca. The competition events are Military Horsemanship, Combat Horsemanship, Military Field Jumping, Mounted Pistols, and Combat Sabers. The Military Horsemanship event consists of the competitor riding a pattern at specific gaits. Points are earned for precision and technique. Combat Horsemanship combines multiple disciplines requiring the competitor to back their horse through an “L”, side pass and their horse laterally over a 10-foot board, ride a pattern at the trot and canter, and demonstrate technically correct saber cuts at a canter. In Military Field Jumping, competitors navigate a course for time and jump their mount over a series of obstacles. Time penalties are assessed for knocking over the obstacles. 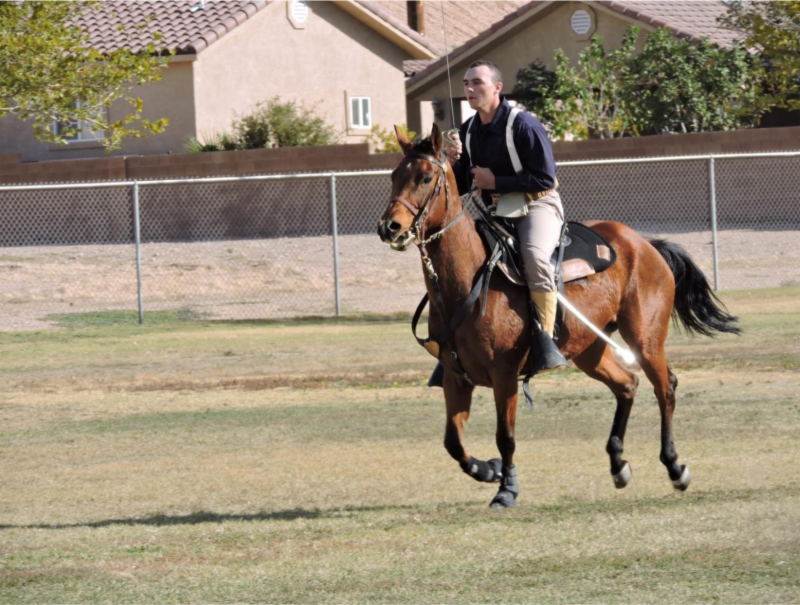 The Mounted Pistol event is a timed event requiring the rider to complete a course and fire their pistol at 6 targets. The targets are balloons and their pistol fires a blank round. The powder and force of the blank is enough to pop a balloon at 10-15 feet. Time penalties are assessed for each missed target. The final event, Combat Sabers, is another timed event where competitors negotiate a course consisting of various saber targets. Riders are required to deliver a “killing blow” to the target, and time penalties are assessed for each missed target. 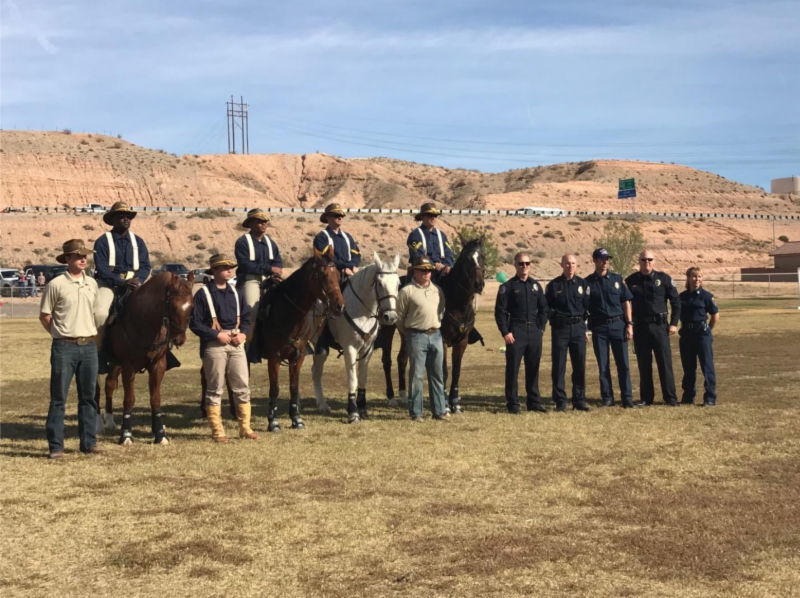 Last year the detachment performed excellently in competition and produced the level 1 National Champion, SSG Chad Weathers and his mount Gunsmoke. The Detachment hopes to continue its success this year, honoring the cavalry heritage of the Blackhorse Regiment. ALLONS! 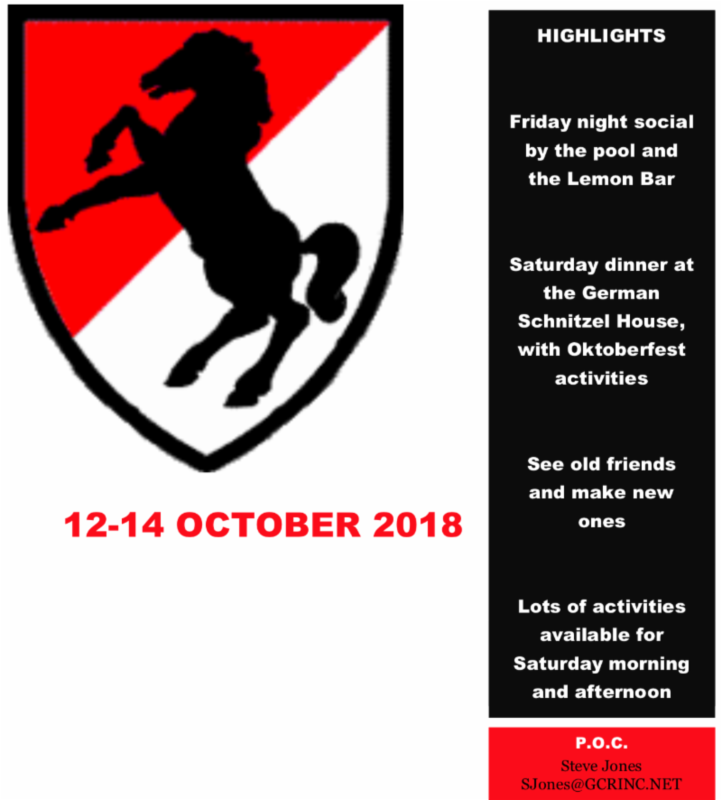 Below are dates of the upcoming events for the Horse Detachment. If you are in the area, stop by and see the show and greet these great representatives of the Blackhorse! September 2018: US Cavalry Association National Cavalry Competition at Fort Reno, OK, September 26-29. November 2018: On November 10, there will be a parade in Santa Barbara, California. 11th Armored Cavalry Regiment Horse Detachment will be in the parade and you can march with us in the parade from noon to 2 pm. 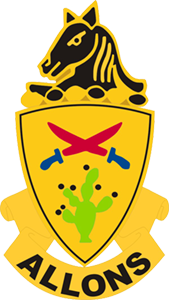 February 2019: A welcome home to Vietnam Veterans, this will be a big event at Fort Irwin, California near the end of the month. July 4, 2019: The Horse Detachment will be in a parade. 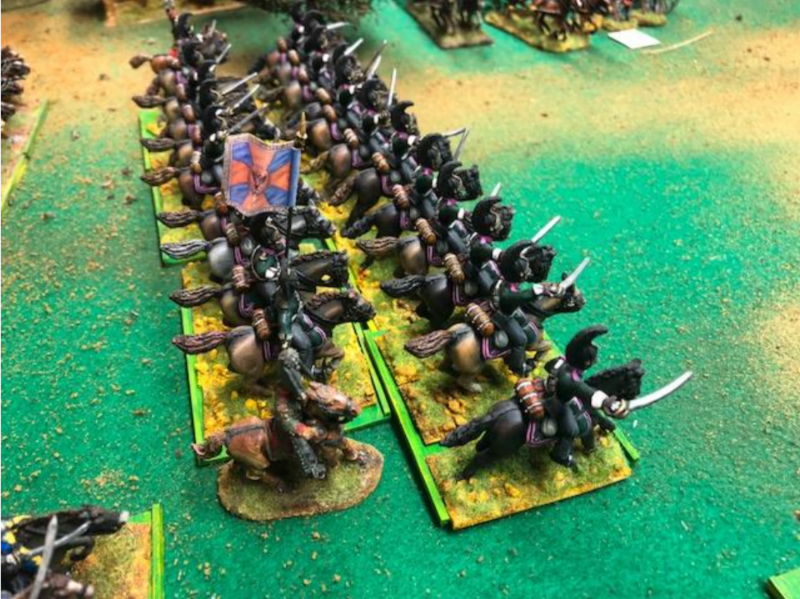 July 5, 2019: They will put on a demonstration of horse cavalry skills. July 6-7, 2019: These colors don’t run on the weekend, so you’re all invited to show up and have a good time at the program. November 10, 2019: Santa Barbara Veterans Day Parade. We have rooms blocked until the end of August. To make a reservation, contact the hotel at 800-881-2330 and let them know you are with the Blackhorse Reunion. Room rates are $139 per night. Steve Jones and I are planning to host another mini-reunion in Jacksonville, Florida the weekend of October 12 – 14. Friday, Oct 12: There will a social call at the Lemon Bar located in the Seahorse Ocean Front Inn, 2 Lemon Street, Neptune Beach, Florida, 32266. Saturday, Oct 13: We will have the John “Paintman” Clark Memorial Ride led by John Melin. SP will be at the hotel with kickstands up at 9 AM. We will make a scenic ride along the East bank of the St John’s River and arrive at John’s resting place in a little over two hours. After a brief memorial, we will return by a different route to Jacksonville, for the evening meal and reunion festivities. 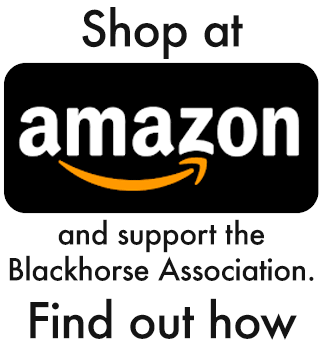 We will ask that you make a donation for the ride, with the proceeds donated to the Blackhorse Association Scholarship Fund. Troopers and spouses who are not participating in the motorcycle ride are invited to take in some of Jacksonville’s popular sites. The Budweiser brewery is not far away and can be reached by using the Mayport ferry to take a scenic drive. Jacksonville Beach will also be hosting Florida’s largest Oktoberfest on the same weekend. Saturday Evening: The German Schnitzel Haus will be the site of our main event. It has an especially prepared menu for us as well as an Ooompah Band, games, and prizes. 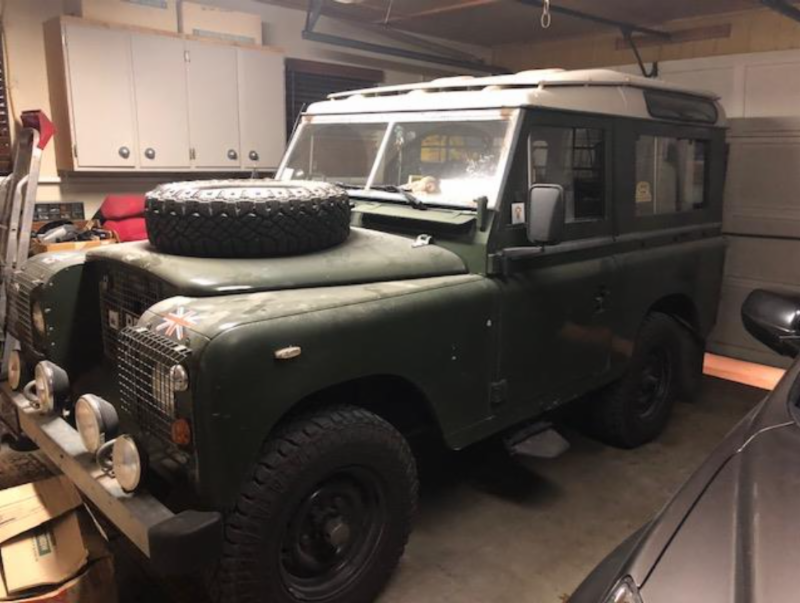 He would wear British Army uniforms and regalia, and he drove a safari-style Land Rover named “Winston.” If you served in Fulda, you remember him vividly and with fondness. In a Regiment with a long history of iconic personalities, the Education Director in Fulda — James “Jim” Lampen-Wolfe — stands out as one of the most memorable. 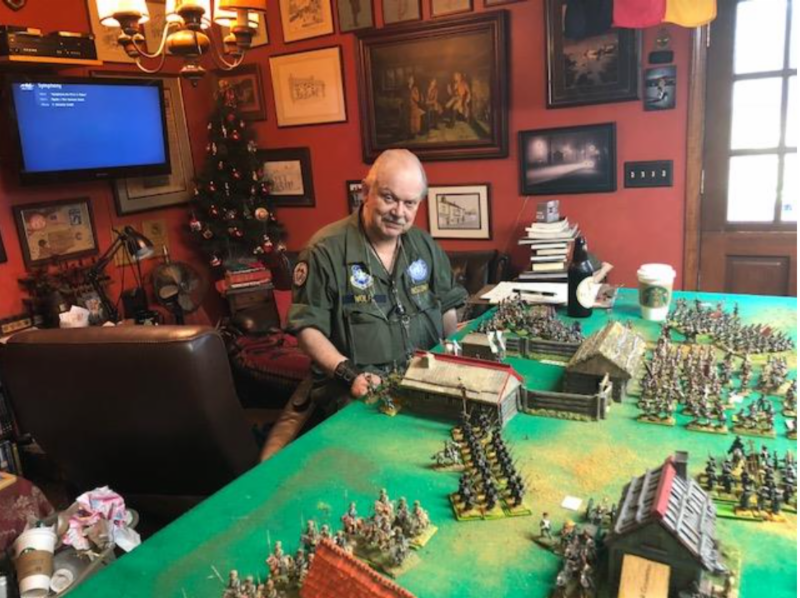 Along with Tom Arielly, a close friend and cavalryman from the 2/2d ACR, I recently had an opportunity to catch up with Jim in San Antonio for a weekend of miniatures wargaming. 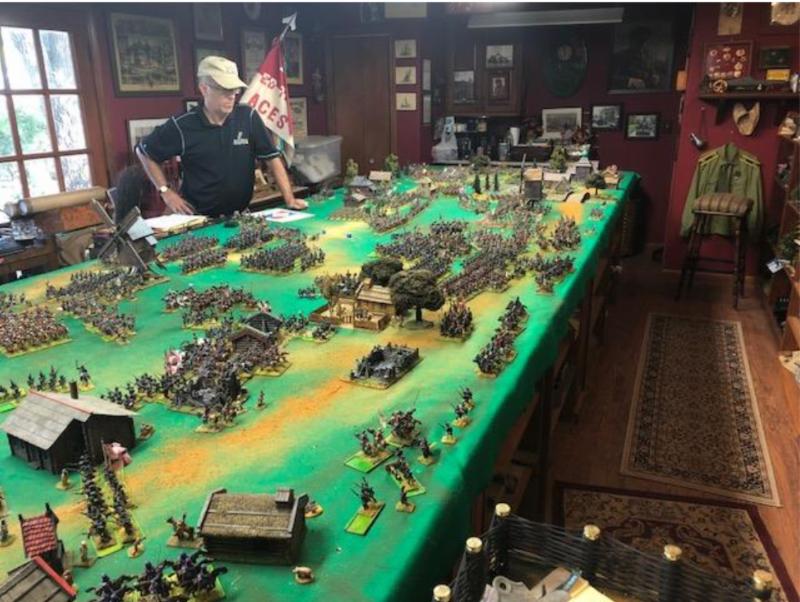 Jim has one of the largest — perhaps the largest — collection of hand-painted miniatures in the world. Jim met us at the door in British Army field attire, compete with slouch hat and his green netting scarf. We walked into a separate building in his backyard, which he customized for wargaming. He had a massive wargaming scenario already in progress with the French under Napoleon fighting a Russian force under Kutuzov. 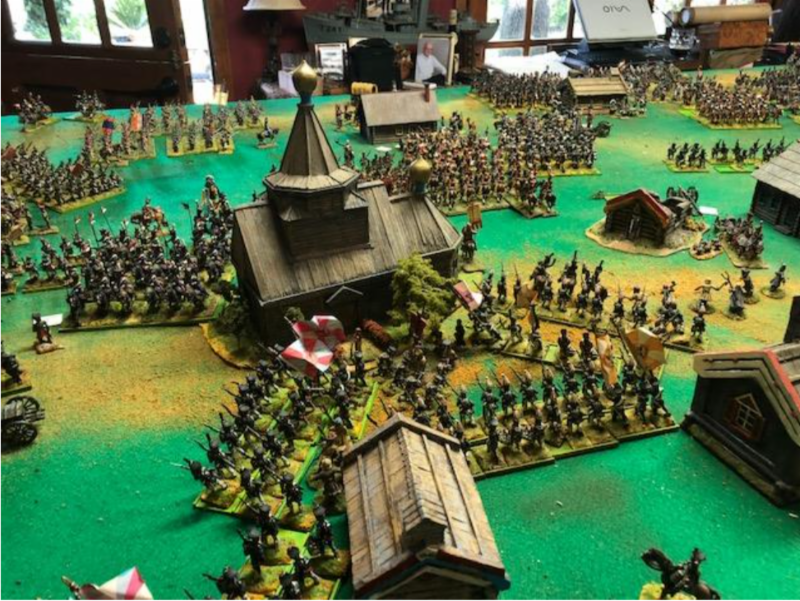 He had laid out the opposing forces on a large table, 6 ft x 20 ft in the center of the room. 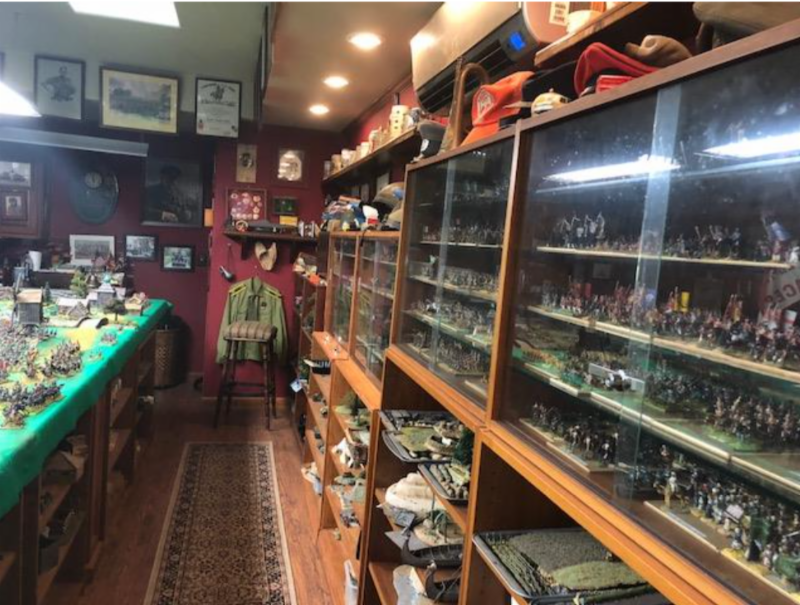 The walls were lined with shelving holding thousands of miniatures from many eras, including French and Indian War, Viking era, and British Colonial era to name just a few. Above the shelving along the walls were a huge number of museum quality artifacts, military prints, paintings, period photos, and of course Blackhorse memorabilia all around. In one corner, he had an enclosed room that was specially vented as a spray paint booth. He had a huge painting studio inside his home, with floor to ceiling library of historical references along one wall, and desk and painting equipment worthy of a master craftsman arrayed across multiple dark-stained work desks and tables. Seeing this for the first time, you had the impression that you were entering the study of a British retired field marshal. Jim served as the Director of Education, first in Bad Hersfeld, and then in Fulda, from 1978 until the Regiment left country in 1994 – a total of 16 years out of the 22 years the Regiment was in Fulda, which was an amazing length of service in a forward deployed unit. He prided himself on taking soldier’s education to the field, and he deployed along with his instructors with the Regiment on many training rotations to Wildflecken, Hohenfels, and Grafenwoehr. He didn’t want his soldiers to miss out on educational opportunities. He greatly expanded the college programs in Fulda. Generations of officer and NCOs enjoyed invitations to his home around Fulda where he would teach military history and host wargames. Many troop commanders brought their entire flock of lieutenants to Jim’s for officer development. He actually did serve in the British Army as a cavalryman as a young man. He rose through the ranks to Lance Corporal with the 16th/5th, The Queen’s Royal Lancers. In the 16th/5th Lancers, he was on British Scorpion Recce vehicles. He was a lifelong friend and advisor to the two godfathers of modern miniatures wargaming in the 20th Century: Frank Hinchliffe and Peter Gilder. After leaving Fulda, he was assigned to an intelligence base in England, where he was required to carry a TS level security clearance. In America as a young man, he went to school at the University of Michigan and was in the Spartan Marching Band. Decades later, after rotating out of England, he was posted to Rock Island, Illinois and flew out to Pasadena, California, where the band leader let him wear his old uniform, practice with the band, and march in the halftime show at the Rose Bowl as an alumnus. Submitted by Kris Thompson, former Commander of C Troop, 1/11th ACR and of HHT, 4/11th ACR.